PARIS, France, May 25, 2018/ — DATAEUM (https://DATAEUM.io), the first Blockchain-based platform using crowdsourcing for data generation received a 5/5 rating from the icobench’s ico analyzer bot, Benchy. Thirty seven days to their pre sale ICO, DATAEUM is positioned to be the most revolutionary blockchain platform that will make sense to non-techies. Dataeum aims to break all barriers by revolutionizing data collection, democratizing access to data and bringing back sovereignty and freedom to people. Rating on ICObench is given in combination of ICObench’s assessment algorithm and the rating the independent experts give to the ICOs. Benchy bot is measuring the ICO score taking into account criteria such as the project, the white paper, the video and other mvp prototype. 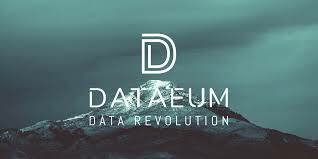 Based on blockchain, smart contracts technology and using crowdsourcing, DATAEUM’s solution enables reliable and accurate collection of all global physical data such as stores, gas stations, road signs, etc. As per the white paper(https://dataeum.io/white-paper.pdf) Dataeum puts human at center of the data economy, changing completely the way data is generated. Blockchain technology does not only provide transparency on how this data generation is made, but also ensures quality and trust towards anyone looking for qualified data.